Before changing our focus to providing and installing high quality cabinetry, we were ourselves successful builders and remodelers. We built some of the Desert’s most energy efficient homes and completed many well regarded remodels at various communities, including Palm Valley Country Club, The Lakes Country Club, Rancho Santana, Chaparral, Mission Hills Country Club, and Whitehawk. In addition we work hard to eliminate those small mistakes with cabinetry that can cause big problems for the project as a whole. In addition we have the practical knowledge and experience to enable us to make constructive suggestions to you as the project unfolds, especially as it relates to interface with related plumbing and electrical elements. We pride ourselves on our close collaboration with general contractors and our ability to help them save time and effort by interfacing direct with the client on the design of the cabinetry element of their project. 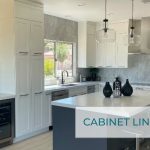 Cabinetry is a core component of any remodeling project and as former general contractors we frequently found dealing with other cabinet suppliers and installers to be a frustrating experience. So in Cabinets of the Desert we formed a cabinetry company that would be truly responsive to the needs of general contractors. We have a deep understanding of the need for a fully responsive cabinetry company. Before changing our focus to providing and installing high quality cabinetry, we were ourselves successful builders and remodelers. We built some of the Desert’s most energy efficient homes and completed many well regarded remodels at various communities, including Palm Valley Country Club, The Lakes Country Club, Rancho Santana, Chaparral, Mission Hills Country Club, and Whitehawk. We work closely with a talented, experienced and CMKBD® Certified Master Kitchen and Bath Designer, who produces all of our cabinetry layout and working drawings. At the design phase we work hard to help our general contractor by working direct with the client to ensure that the cabinetry element of the project properly reflects the client’s vision and design intent. While we are careful to ensure that the general contractor is kept in the design loop, we are able at the same time relieve the general contractor of a great deal of time and effort. We also work hard to eliminate those small mistakes with cabinetry that can cause big problems for the project as a whole. In addition we have the practical knowledge and experience to enable us to make constructive suggestions to the general contractor as the project unfolds, especially as it relates to interface with related plumbing and electrical elements. We want you, our general contractor, to rely on us for peace of mind. After years of working with the trades as a general contractor, we know the importance of close coordination with the trades what it takes to be part of the big picture as a team player and the go-to cabinet vendor for general contractors of remodel or new build projects in the Greater Palm Springs Area.